In this weeks Green List I’m sharing some of the books that I’m reading now. I have a pretty eclectic bookshelf with topics ranging from DIY, fitness with kids, and a few new cookbooks. What are you reading right now? Sewing the Seasons: 23 Projects to Celebrate the Seasons by Sandi Henderson. I’m itching to start sewing again and this book is full of fun projects that don’t look too complicated (remember I’m still learning). The Farmers Market Tote is absolutely adorable as well as some of the cute Lemonade Swing Top (or dresses) patterns. In addition to sewing projects Sandi includes a few seasonal recipes as well. Yoga for Children by Lisa Flynn. I’ve played around with Yoga for years and when my oldest was little we had fun practicing our poses together. Now that my daughter is 4 I think she’d have fun doing Yoga with her brother and I. My favorite part of the book is the sections on partner poses and family Yoga games. I’m sure we’ll also enjoy the relaxation exercises before bedtime. The Big Book of Gluten-Free Recipes by Kimberly A Tessmer. We’re not a gluten-free family but we do have a lot of friends who are gluten-free. Since we entertain a lot I thought it would be nice to have some recipe ideas on hand for our friends. 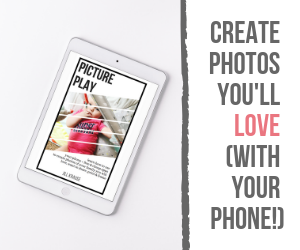 There are over 500 breakfast, snack appetizer, salad, side dish, and dessert recipes to choose from and I’m excited to try a few this week. Perhaps some zucchini parmesan sticks might taste good with a crusted chicken. I’m getting hungry just thinking about it. The Everything Giant Book of Juicing by Teresa Kennedy. My husband bought us a juicer last year and it’s fun to see what different combinations of fruits and vegetables actually taste really good together. Just tonight I juiced some pineapple, pear, broccoli, cucumber, and flaxseeds together for a light dinner (we ate a really late lunch). With over 300 juice recipes this book has something for everyone. It explains the differences between juicing and blending and even has a section on why organic produce is better for you. I’m really excited to try the Breathe Easy Juice next time I have an asthma related allergy. There are even recipes designed just for the kids. Annelie’s Raw Food Power: Supercharged Raw Food Recipes and Remedies by Annelie Whitfield. I’ve never ventured into the world of raw foods (aside from my favorite fruits and vegetables) but I’m intrigued by some of these recipes. The only thing that intimidates me is all the fancy ingredients that you need to make them. I’m afraid I’ll spend too much money on the ingredients and not like the outcome. I am excited though to try the Morning Nut Milk recipe – my daughter is sensitive to cows milk and being able to make almond or nut milk at home would be nice. The directions seem easy enough and the ingredients aren’t as intimidating – almonds, raw honey, vanilla extract, sea salt, and filtered water. I’ll let you know how it comes out and if I get brave enough to try the hempy burritos or raw vanilla ice cream. My Very Own World Adventure by Maia Haag. This is just one of the books in the I See Me! collection of personalized children’s books. In My Very Own World Adventure your child becomes the guide on an adventure around the world. The letters of their name decide what countries you will visit in the story. I love that the book is personalized for my own child with her name in it. She’s just beginning to recognize her name and the letters that make it up – she gets really excited when we read this one. PS: Want to win one of these I See Me! books? Don’t forget to RSVP for Tuesday nights Pin Around the World Twitter Party. 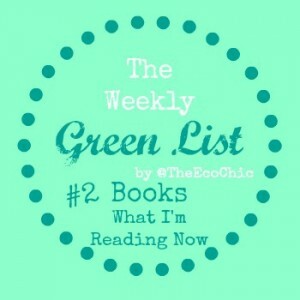 Did you miss last weeks Green List? I talked about some of my favorite cloth diapers. Tell me, what are you reading this week? Do you have a favorite topic you are interested in? Disclosure: Samples of these books were sent for me to review free of charge. Affiliate links are present in this post. Any purchases made by clicking on those links will help to keep this blog running a big longer – thank you in advance!